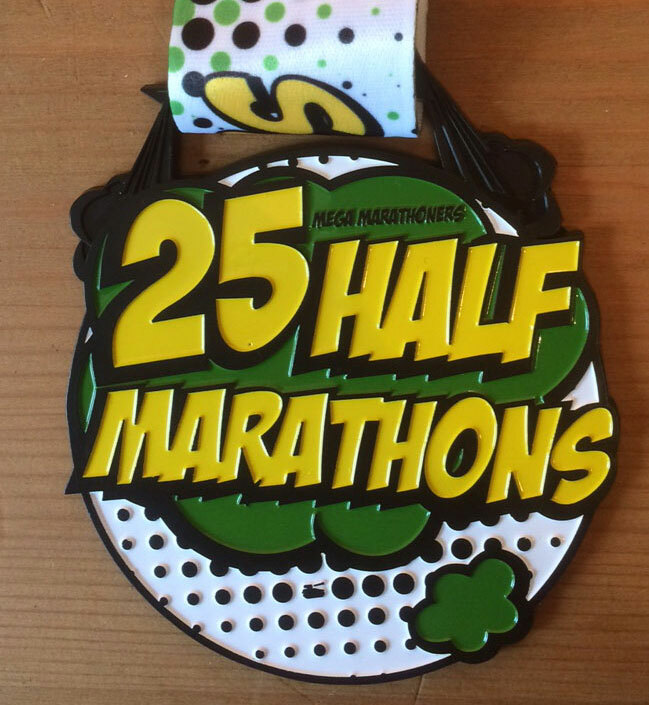 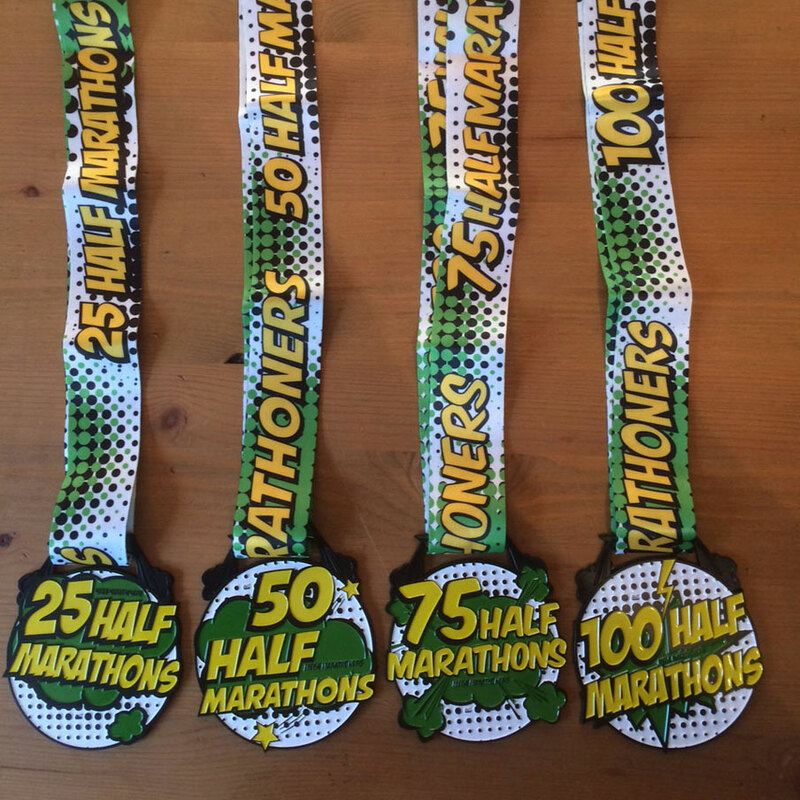 Striking green Mega Marathoners Half Marathon Medals! 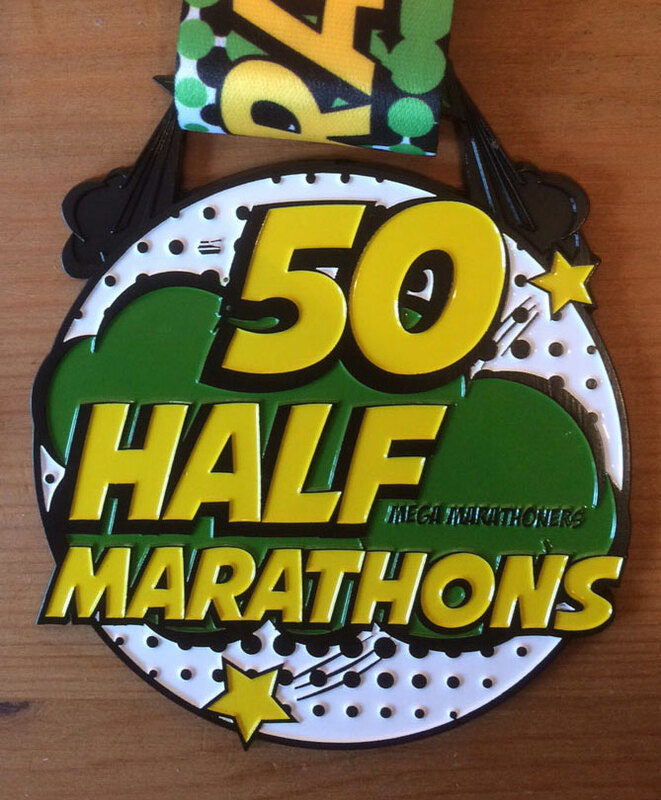 90mm x 105mm cast iron enamelled medals to celebrate and mark your milestone achievements! 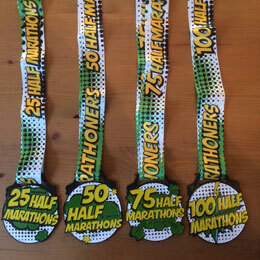 Available in 25, 50, 75 & 100 Half Marathon versions!